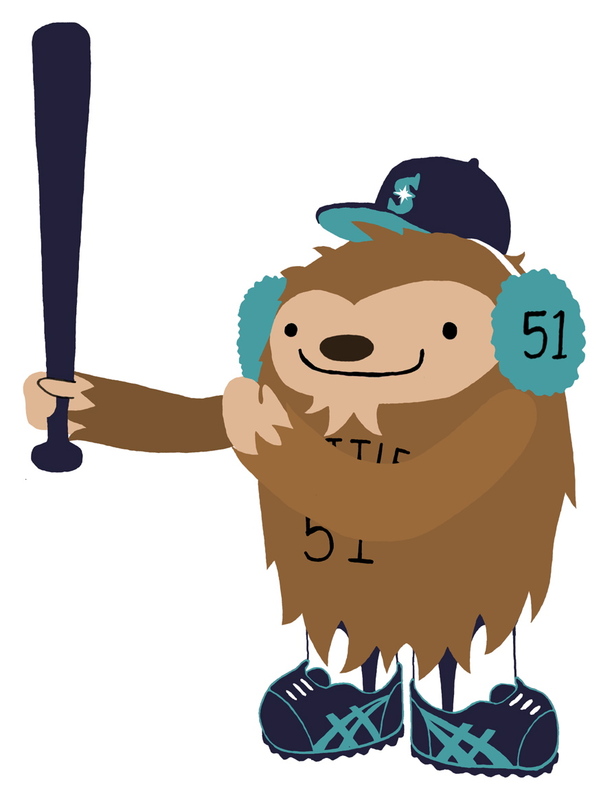 Our pal Will made us this totally killer design, combining our love for both Quatchi and Ichiro… Quatchi-ro! Easily our favorite piece of Quatchi fan art. Oop — it seems we’ve already done Quatchi Fan Art #8, so we’re now calling this entry Quatchi Fan Art #8a.